Discussion in 'Pedal Effects Gear Emporium Archive' started by Tbig, Apr 16, 2016. 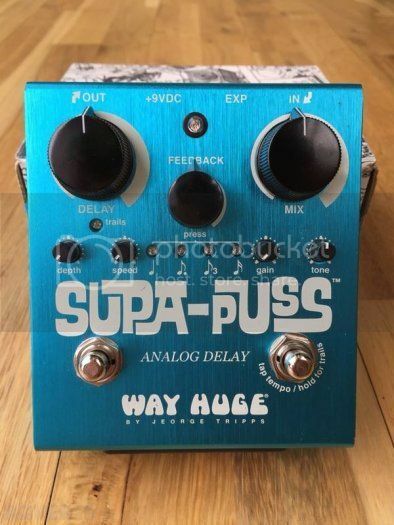 For sale is my MINT Way Huge Supa puss delay pedal. No issues and comes with all the swag in the box. This is the V2 $175 pped and shipped. Lower 48 Only.